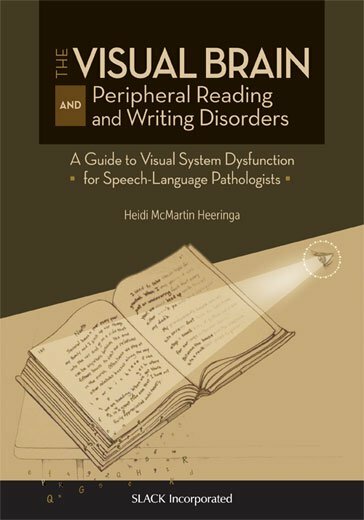 The Visual Brain and Peripheral Reading and Writing Disorders: A Guide to Visual System Dysfunction for Speech-Language Pathologists familiarizes the reader with the complex workings of the human visual system, the motor and sensory components of normal vision as they relate to the recognition of letters and words, and to the acquisition and rehabilitation of reading and writing. This text brings together findings from the neuropsychological, neurooptometric, neurolinguistic, occupational therapy, and speech-language pathology literature on acquired visual system impairment from the past 20+ years, and the ways visual system dysfunction impacts reading, writing, and cognition. The Visual Brain and Peripheral Reading and Writing Disorders explains the heterogenous nature of peripheral reading and writing disorders, describes the association between visual motor and sensory dysfunction and the acquired dyslexias, and provides the speech-language pathologist with specific guidelines regarding the assessment and treatment of reading and writing disorders associated with visual system dysfunction.